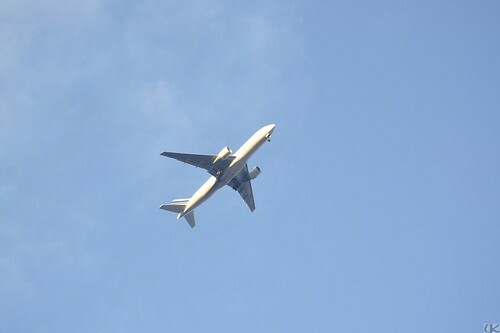 I am a frequent flyer. Every month, i am flying half way around the globe, if it from Chennai to the US one month, then it flying back again the next month. My work requires me to operate in India and the US, splitting my time to about 3-6 weeks (usually 30 days) in each place. Anytime i arrive at a location, the usual questions are “Hey! When did you arrive?”, quickly to be followed by “When are you going back?”. My family also calls me a frequent flyer; in a different context, i.e. flying away or running away from stuff. I cant blame them. But i am eternally thankful to them, as they spare me from constant nagging, which would have had a serious effect on my work. As i fly so often, i tried many different options, and finally settled on Lufthansa as my flagship carrier. A few good reasons for this. First, it is a Star Alliance partner, and since i am a United Airlines mileage member, this helps me accumulate miles for every flight i take on Lufthansa. Now this is also a question, i am often asked “So you must be having millions miles?”, and my response is “Yes! I do. But i don’t get to use them.” Second reason for Lufthansa is the convenience factor, 7 days a week, one stop over, two flights of about equal time to get me from Chennai to Washington DC. And the third the incredible German efficiency – almost always on time, in almost 14 years of flying Lufthansa, they are yet to screw up with my baggage. On my recent flight from Chennai to the US, as i was being served my meal, i observed a small fact. The cotton cloth napkin i was given along with my silverware, had a small tab, showing the details of the place of manufacture. Knowing the manufacturing world, i straightened the tab to read the text, convinced that it will have the magic words “Made in China”. Well, i was astounded instead by the words “Made in Germany”. 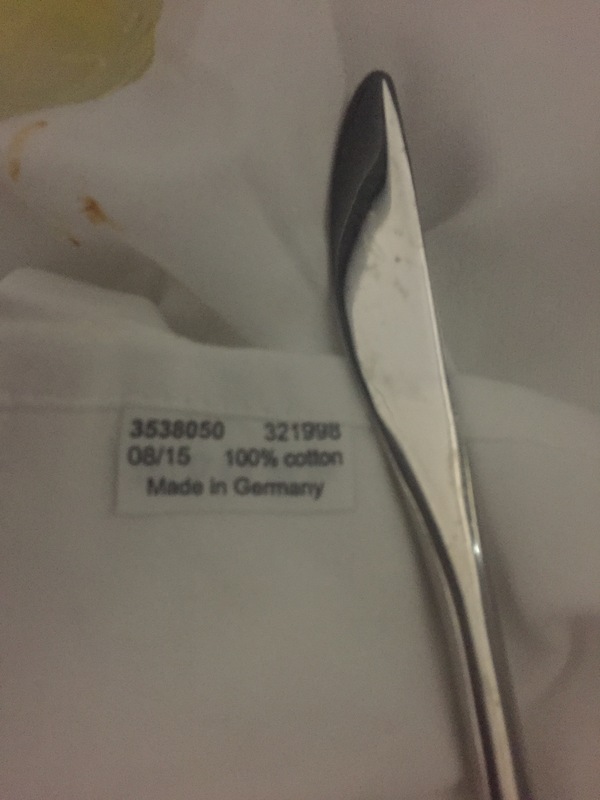 Why would a cheap cloth napkin be made in Germany? Let me first explain, it was not a cheap piece of cloth. It was fine well made cloth napkin. But still this is a low value item, and offers no economic bonanza for Germany to manufacture it, when it could have easily imported this from China. I have noticed in the US, it is difficult to find items that are ‘Made in USA’. Today if you enter a store in the US, other than local food produce, most items are manufactured from China. To the extent that in stores in and around the DC metro area, where they sell paraphernalia like the American flag, miniatures of the Washington Monument, Capitol, and the White House etc., are all ‘Made in China’. And hence my surprise in seeing this on a simple cloth napkin on this German airline. It is also evident when you are in Germany, to notice the class of engineering in everything you see and touch. Be it a simple faucet, a door knob, a hinge or a draw handle. They seem perfect. They work, and very seamlessly. The fit, the joint, and the physics of it all, simply seems and feels superior. I am of course comparing to what i have seen mostly in the US, India, Canada, a bit of England and isolated part of SE Asia. It appears that the German engineering machine is made of a different breed. And so it must be, that the Lufthansa thought they must use German products on their planes. The pride of this national carrier in everything German, is so evident. It is not cheap to make these products here. And so i wonder, how and why they choose, and manage their finance and profit. But like their love for their mother tongue, there must be a love for their own. I am sure Germany import goods, and considering a country like China, they must be importing quite a lot from there too. But i wonder if they would import their national flag, that is made by the Chinese. Travel always provides opportunities for fun, excitement, anger, frustration, and suspense, actually you can have all the nine emotions tested in equal. I travel frequently and i am fortunate to experience these emotions on a regular basis. This time it was a close encounter with a person of dubious reputation. I was standing at the airport security line in , Frankfurt, Germany. The line was required for transit passengers to be security cleared for flights departing to the US. I was the third or fourth in the line, for frequent fliers. The slightly longer line for regular fliers wound back and forth to our side. It presented an opportunity for those passengers to walk right into us, before they did an about turn and walk away. As i was waiting, i heard a kid (college kid), walking toward us and say to the person in front, as he was doing the about turn, “Karl Rove”. The man much to my astonishment nodded his head. Suddenly, like you see in the movies, matrix style or otherwise, it appeared like the floor turned around and around, as i and ‘Karl Rove’ stood there, one in front of the other. Soon, which took an enormously long 10 seconds, another person walked by and said the same thing. I still hadnt seen the person’s face. I couldnt, i was standing directly behind. But in the long 10 seconds his face (as seen on TV and newspapers) started becoming vivid in my mind. The second affirmation only helped break me out of this trance. I was now, wondering, what do i do, what should i say? Iraq, 9/11, Neocon, and all other rot this person had done and been associated with came to mind. I had half the mind, to kick him in the shin. After all, he was responsible for wasting a bunch of my tax money. I stood though, still and silent, observing the man, his shoes, his clothes, his profile. I was wondering he seemed rather ordinary and indistinguishable. His ordinary black shoes, which required polishing, a dark-brownish leather belt, a pair of khaki pants the hem slightly frayed etc. But then i didnt know the latest news….. I wouldn’t have been more pleased. Well, i am back. Back where ? Back in India. And this travel to and from, back and forth is getting a ridiculous. I mean not from the boredom and the pain perspective, but from how i have to explain the travel. Am i traveling back to India ? Or am i traveling to India, and will come back to the US? Or the other way around ? In three years or more at this job, i have clocked up more than 600k miles on my frequent flier miles. I off course use up these on a regular basis too, so thats not balance on the account. But still the fact of going back and forth, like a pendulum is somehow irking me. I even got up early to my jetlag morning, today, to think about a way around this. And that thought hit a spot in the brain, lighting up some remaining brain cells. And i was thinking, ‘why not circumnavigate the globe?’ Well in any case i am flying half-way around the globe each time, so why not travel around it instead. Now i just have to bid some time, and work up the dollar economics to see if there is going to be a big impact in this changed flying pattern. The other question should be, fly east or west? Now that i have left it to chance, and will see how things pan out. It has also been my thought to learn some foreign language, specially German, since i was flying via Frankfurt all the time. And then again, with enough work to do, new books to read, and some movies to see, learning the language has taken lower priority. So but for an appreciation for the language, which otherwise sounded like crackling twigs or a soothing stream, purely based on the person speaking, i havent been able to pick even a few words here and there.